The National Park Service (NPS) this morning released official findings from a recent study it commissioned to determine the status of the Savannah National Historic Landmark (NHL) District. "Following a comprehensive study, site visits, public meetings, and a public comment period, the NPS has determined that the overall condition of the district falls into the 'threatened' condition category. This assessment does not change the designation status of the district as a national historic landmark," the National Park Service reports. 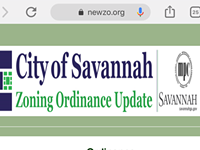 "Through the condition assessment process, the NPS found that the Savannah NHL District continues to retain the qualities for which it was originally designated and is not a candidate for losing its designation," the NPS says through its Southeast Regional Office. "However, the study also reveals that the Savannah NHL District has lost some historic integrity and faces preservation challenges." The principal historic feature of the District is the Savannah Town Plan designed by James Oglethorpe in the 1730s, the NPS says. 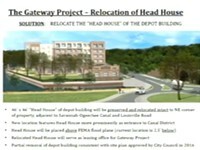 "The District’s 'threatened' category status is based on several identified challenges including the impact of new construction on the Savannah Town Plan; the vulnerability of archeological resources, historic pavement, and cultural landscapes; threats from natural disasters; and a series of intangible threats like noise and traffic," the NPS reports. The NPS study sparked controversy this past spring when the media it, along with the recommendation from the study that the NPS put Savannah on the Threatened list. Savannah's Landmark District had been in "Satisfactory" status since 2006. At the time, City Manager Rob Hernandez wrote an op-ed to the daily paper claiming falsely that the NPS had discredited its own study. At a press conference about the study, Ellen Harris, Director of Preservation with the Chatham-Savannah Metropolitan Planning Commission, pointed out the extreme development pressure that in part contributed to the Threatened status. “Last year the [MPC] Board and staff reviewed 372 Certificates of Appropriateness — that’s more than double what it was ten years ago," she said in March. The NPS says it will continue to monitor proposed projects that may diminish the integrity of the Savannah Town Plan and has recommended several steps to improve the overall health of the district including updating the NHL nomination and developing a cultural landscape report. The NPS says it will continue to work with the community in their preservation efforts and will remove the District from the “threatened” condition category when the proposed actions and conditions that may diminish the District’s historic character have been addressed. 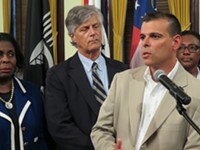 The public can learn more about the Savannah NHL District condition assessment by visiting https://go.nps.gov/savannah.